It is a bus like any other, but this one is a special one. It is a moving library. It visits schools, providing books to schools were libraries don’t exist. The Book Bus is an international non-governmental organisation which is providing this service in Malawi, Ecuador and Zambia. In Zambia, The Book Bus drives to schools in Livingstone, Malambo and Kitwe where libraries do not exist. And in Kitwe, Saint Anthony Community School was established in 1998 and this is the infrastructure where pupils have been learning from in the past 19 years. When The Book Bus drives to the school, pupils at Saint Anthony Community School do not mind sitting on the ground to read the books. All they want is to have a book which can help them learn. Some times, children who are not enrolled at the school join in when they see the bus because they know that reading and learning is free of charge. 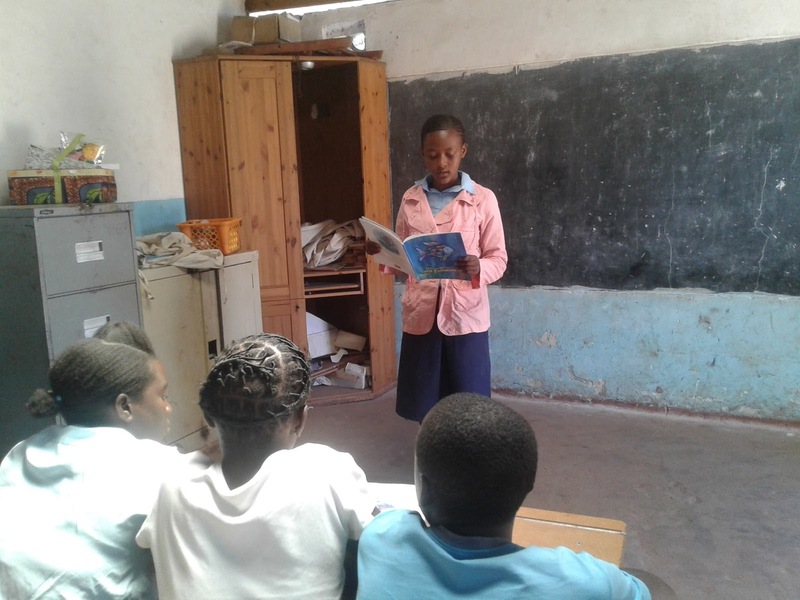 "They teach us many things: how to read and write, we read different books which we don't have at our school," said Susan Mulowa, a Grade five pupil at Saint Anthony Community School. According to management at this school, literacy levels have improved since the time The Book Bus started proving its mobile services here two years ago. "This program is a good move. We have seen our learners improve in reading. There are some sounding letters, words and are able to read fluently. So we appreciate so much. If we compare last year and this year, there is change," said Saint Anthony Community School Headteacher Sydney Mankompa. And in Bulangililo area within Kitwe, Manyando Community School is another beneficiary. Here, the infrastructure is okay and pupils all learn while seated on desks. And they have various stories to tell about this version of school work. "I enjoy reading because it is very inspirational and The Book Bus helps me read every day," said Michelle Zulu, a pupil at Manyando Community School who dreams of becoming a journalist in future. The lack of a library at Manyando Community School has been a challenge for management who have been making efforts to teach pupils without books. 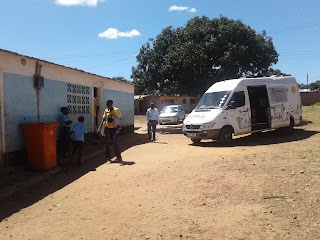 Mwape Meki, the Headteacher at Manyando Community School had this to say: "In terms of literacy levels, we are a bit struggling like most schools but with the help of partners like The Book Bus, we are trying to get ourselves out of that." Across the country, over two thousand pupils are receiving the services being offered by this mobile library for free. 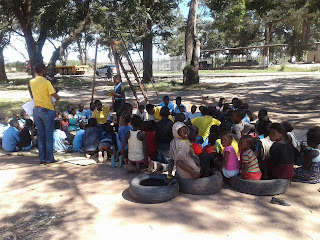 The volunteers who work for The Book Bus combine reading and artistic lessons to help the pupils learn. "We are trying to fill up the gap by providing this mobile library service because we get to drive to places where libraries are non existent. 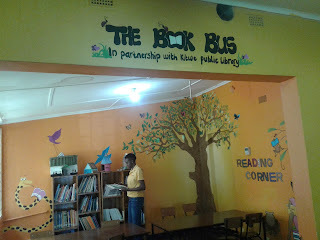 When we get into the bush like in Mfuwe which is 60 kilometers outside, we provide this service freely in areas where these kids don't have it," said The Book Bus Project Director Monica Mulenga. 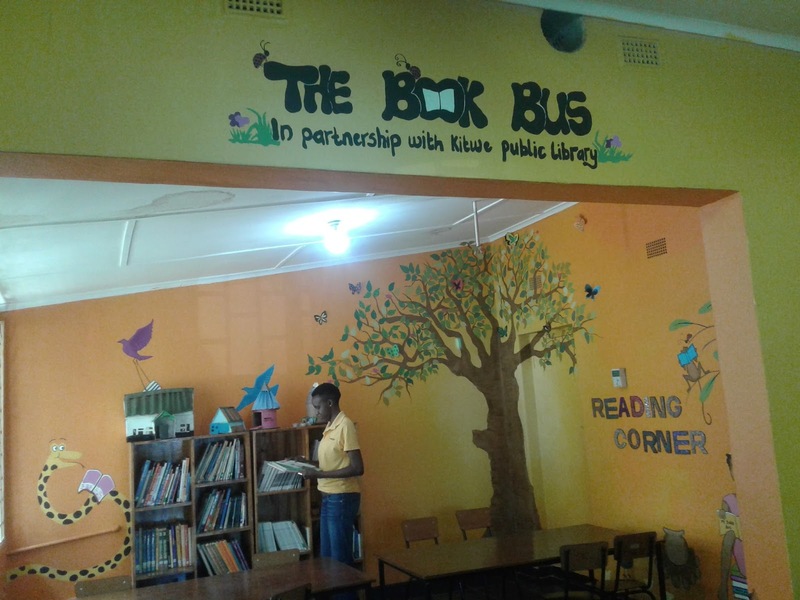 At the Kitwe City Library, The Book Bus has refurbished the children section and stocked it with books. However, very few pupils visit this section. Most of the times, this section of the library remains underutilized despite being rich in books.